Eight exciting new effects units to add to your pedalboard. If you’ve scoured our NAMM 2019 coverage for new pedals and still can’t decide, don’t worry. Listed here are eight pedals that you should pay special attention to. From next-gen delay units to good old-fashioned distortion, this list features the most exciting effects units 2019 has to offer – so far. Strymon has become the effects brand of the stars and now the Californian company is going vintage, with the Volante Magnetic Echo Machine. Derived from the company’s Magneto Four Head dTape Echo & Looper, the Volante is a stereo multi-head delay that also offers a looper and vintage spring reverb. With all the powerful sound-sculpting controls you’d expect from Strymon, this is sure to be a fascinating unit. This ‘pedalboard reconciler’ is a compact signal-routing interface for noisy rigs. Swiss Things has two footswitchable effects loops – one designed for low-impedance pedals such as drives and distortions, the other buffered for delays and modulations. There’s a built-in 20dB boost and outputs for tuner and volume/expression pedals. 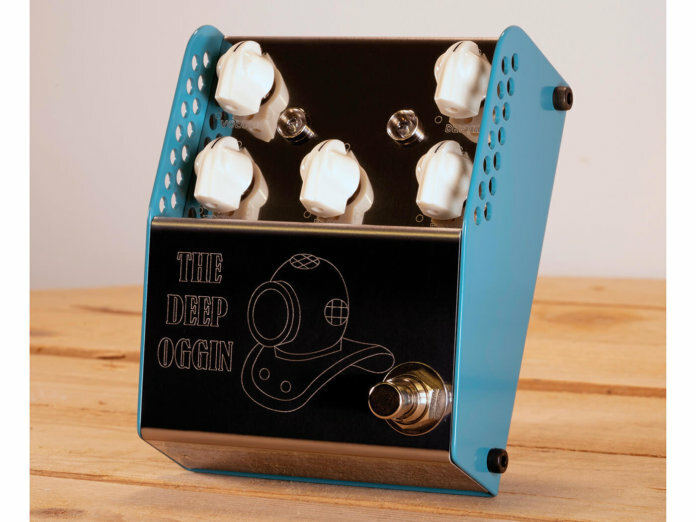 Designed with former Lovetone pedal designer Dan Coggins, the Deep Oggin is a fully analogue chorus/vibrato. With both wet and dry outputs, plus five knobs to control depth, rate, treble, volume and blend, the Deep Oggin is designed to be a rugged, supremely versatile and great-sounding chorus. The newly reinvigorated Teisco brand previewed some new effects pedals at NAMM last year, and after further tweaking, the first range of effects will be released to the public in March this year. Housed in unique ‘low profile’ cases with quirky designs inspired by the firm’s Japanese heritage, – and featuring equally individual analogue sounds inside – the initial three-pedal range will comprise the Fuzz, Boost and Delay units. Mad Professor has unveiled the Double Moon, a modulation unit with a range of chorus, flanger and vibrato effects. 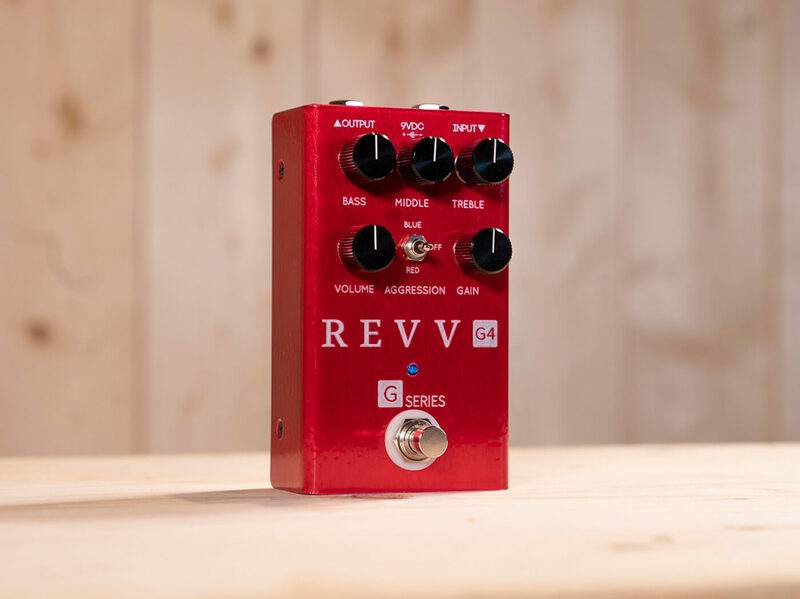 With all-analogue circuitry and bucket-brigade signal paths, the Double Moon sports 11 modes: three chorus effects, three dual-chorus options, three flangers, a unique flanger-and-chorus, and vibrato. The Double Moon also has a control for modulation waveform and to modify regen settings. 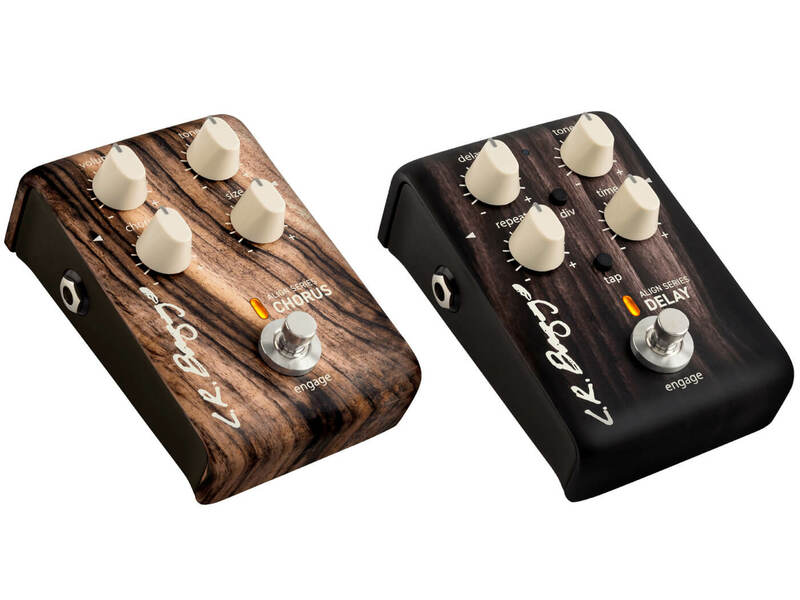 LR Baggs has expanded its Align Series of acoustic pedals with a delay and a chorus pedal. The chorus is designed to add richness to your tone while maintaining clarity, and features a Size control to blend two different and interactive chorus modes together. The delay is specifically tuned to an acoustic guitar and is designed to add depth to your acoustic tone without getting into any ambient territory. 70s- and 80s-style amplifier crunch. 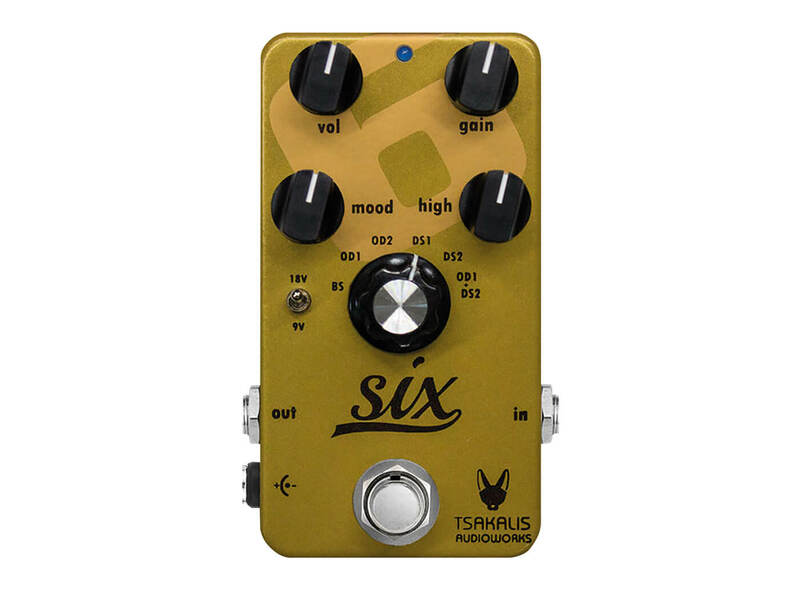 Greek pedal-builder Tsakalis Audio Works has launched the Six – a combined boost, overdrive and distortion that claims to offer the sound of three classic boutique pedals in one box. Within the six-position mode knob you’ll find faithful recreations of the Timmy, Bluesbreaker and King Of Tone, but with claims of added sensitivity and natural tones thanks to Tsakalis’s ‘cap-less technology’.